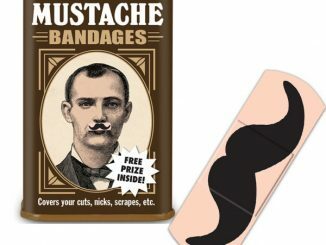 My nephew has developed this sudden interest which has turned into a bit of an obsession lately with mustaches. 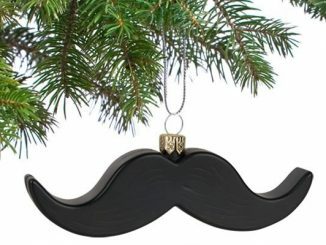 His father doesn’t have one, but his grandfather (and that’s my dad) has one. 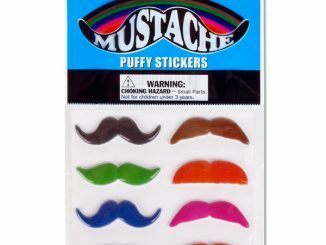 Every time we get together, I’d always see him either pulling on dad’s mustache or grabbing some of my sister’s eyeliners to draw some on his own chubby little face. 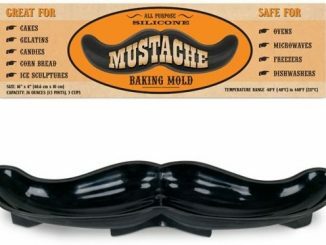 But I reckon getting him one of these Jumbo Novelty Mustaches might tone down his stache obsession, even for just a bit. 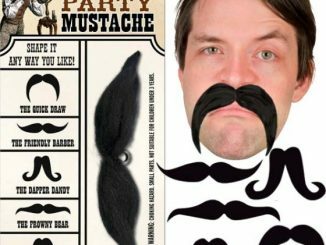 Aside from being a fun present to kids who love mustaches, the Jumbo Novelty Mustache would also make for a fun prop or addition to your costume when you have a party that requires you to dress up unconventionally. 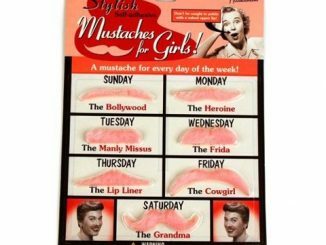 Girls who want mustaches with a more feminine touch can check out these Stylish Pink Mustaches for Girls. 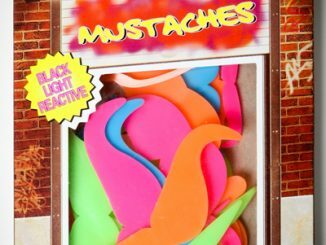 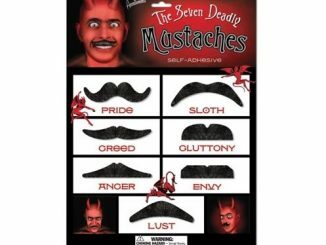 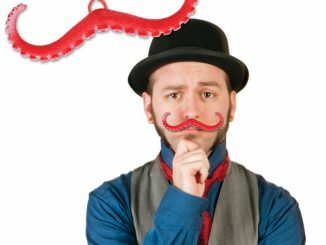 Each extravagant synthetic hair mustache is 16″ (40.6 cm) wide when straight and features a flexible internal wire in case you want to shape it differently. 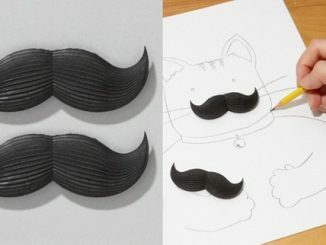 Fits on your face with a rubber piece that gently clips to your nose. 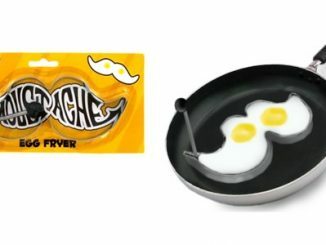 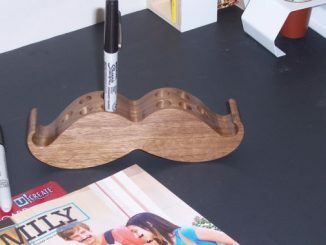 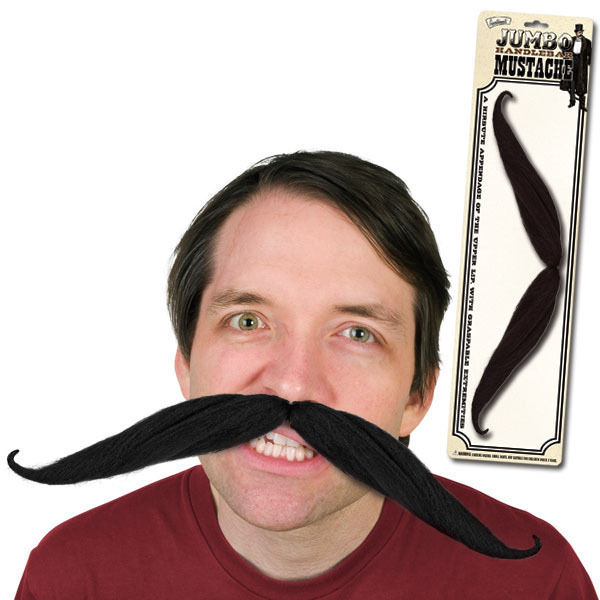 The Jumbo Novelty Mustache is available from Amazon for $9.99 and at McPhee for $4.95.